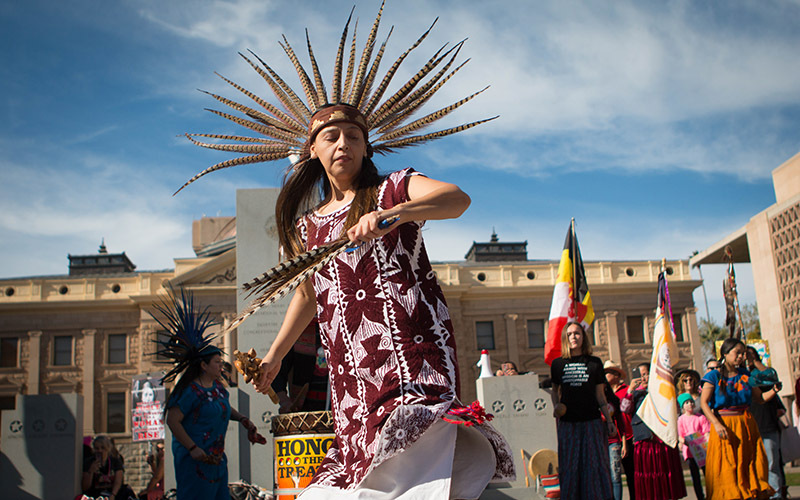 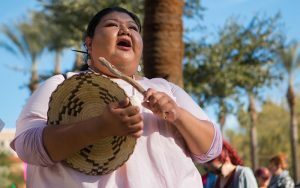 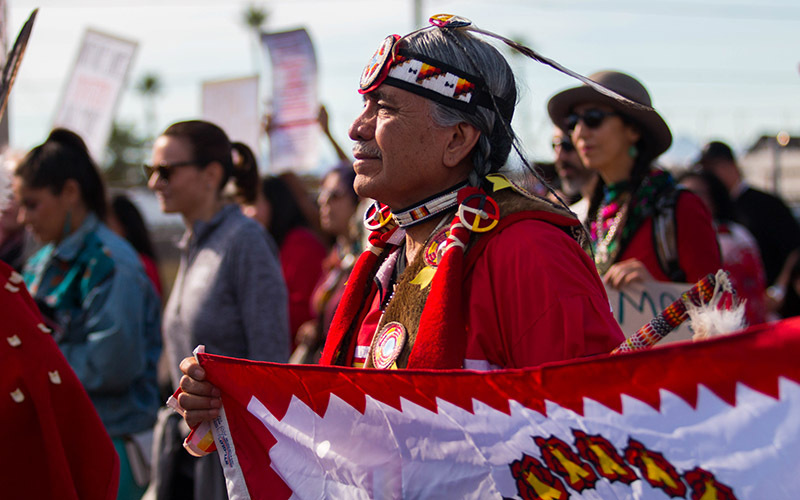 PHOENIX – As the sounds of the traditional drumming filled the air at the Arizona State Capitol, indigenous women gathered to raise awareness of an issue specific to their community: the increase of missing and murdered women on reservations and nearby towns. 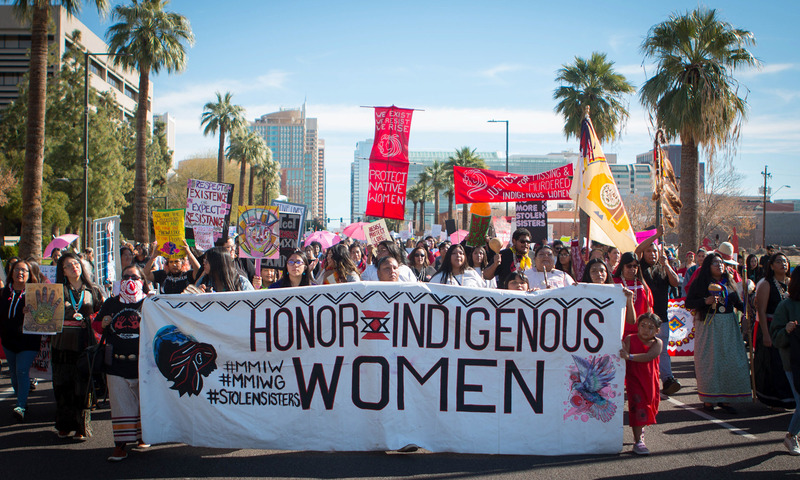  According to the Urban Indian Health Institute, Arizona ranks as the third highest state for missing and murdered indigenous women and girls. 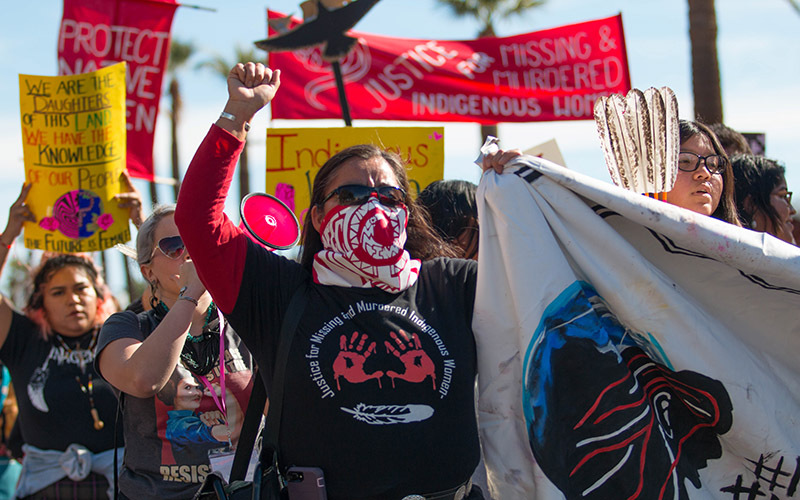 In 2016, there were 54 cases. 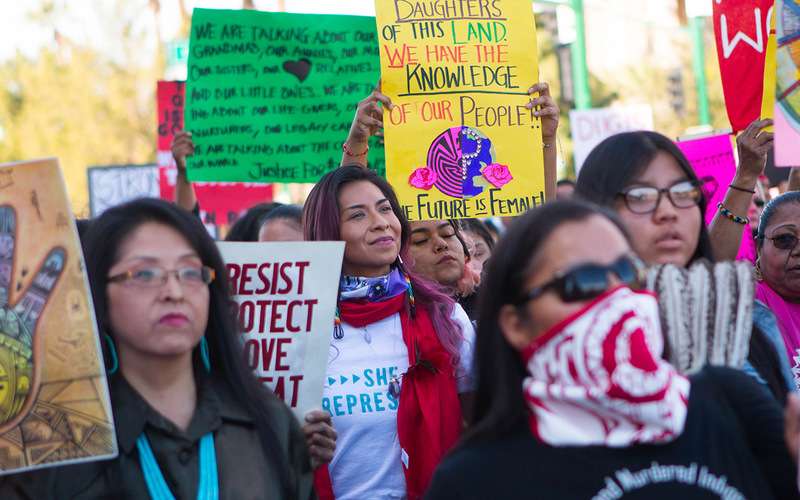 Only New Mexico and Washington had more cases. 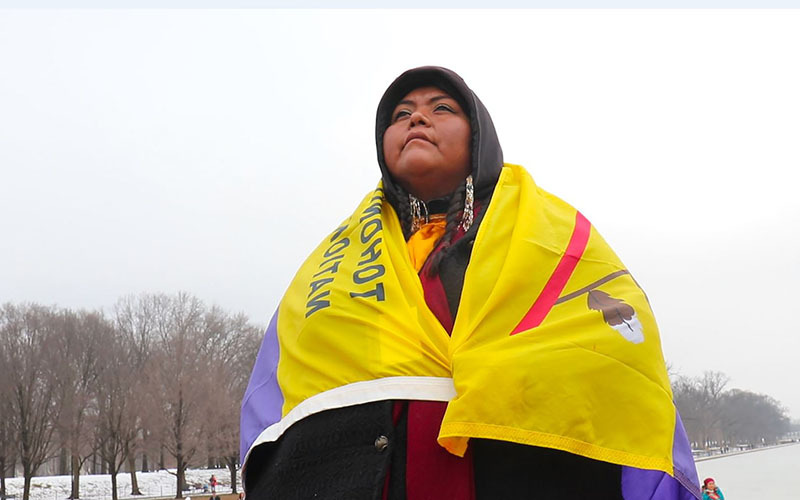 Kristin Payestewa, whose cousin Lori Piestewa was the first Native American woman to die in combat as a member of U.S. military, also participated in the women’s march. 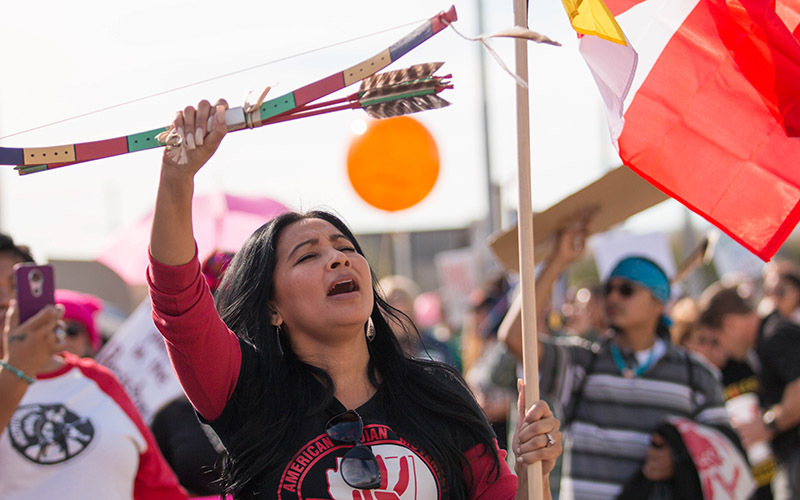 Her hope for the march was to connect and have meaningful conversations with women from other communities. 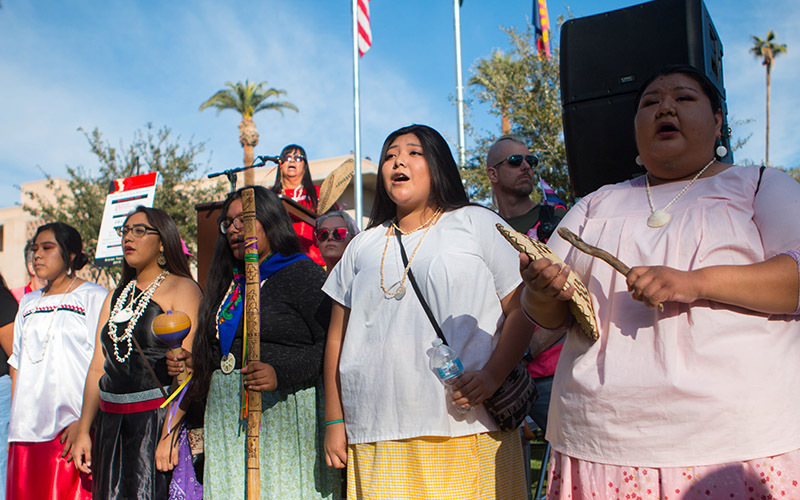 Many non-Native American women and men also took part in the march. 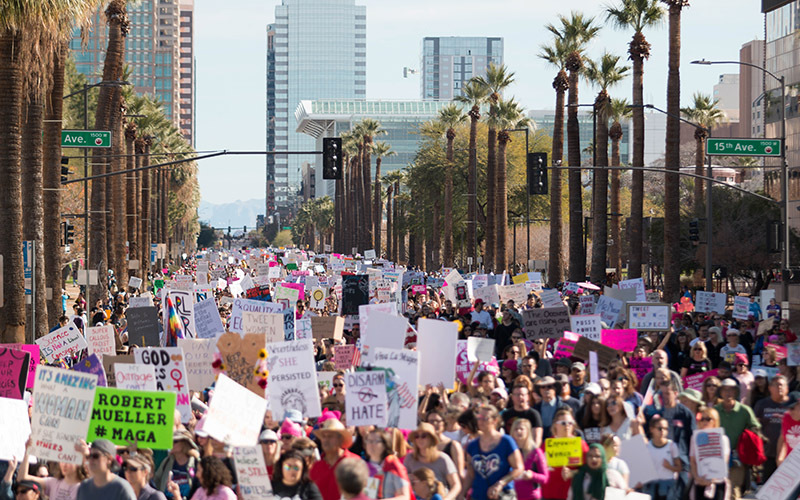 Arizona Department of Public Safety estimated that 6,700 people participated in the march Saturday, according to azcentral.com.